SA banks are evaluating the best paths to go to market, says Xavier Larduinat of Gemalto. Market fragmentation presents challenges to the rollout of mobile payments solutions worldwide, says Xavier Larduinat, marketing manager for banking solutions at Gemalto. 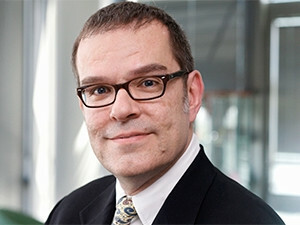 In supporting a mobile payments solution, banks are presented with a diversity of network carriers, operating systems and device-makers, which can be complex to integrate in order to offer a uniform service, and its accompanying promise of security, to all users of the solution regardless of their network, operating system or device, Larduinat explains. In SA, much like many other countries, "banks are evaluating the best possible paths to go to market," he says. While SA has the mobile network capabilities and NFC-ready handsets on the market to cope with mobile payments solutions, its banks are challenged by the complexity of their client bases, Larduinat says. One solution to this challenge is for banks to outsource the connection of the bank to its clients' devices through a business partner, he offers. An example of this outsourcing is Gemalto's Allynis Trusted Service Hub (TSH), which is facilitating the rollout of Samsung Pay in Europe. The TSH offers a multi-security frameworks hub to banks, which connect to their customers through the TSH, and in doing so are offered uniform security and service to all clients, Larduinat elaborates. Samsung Pay was introduced in Europe last week, and has already been established in the US and South Korea. Available only on Samsung's S6 and S6 Edge smartphones, the mobile payments service offers a similar user experience to Apple Pay, using biometics and NFC to enable contactless payment.